The Living Mountain is a lyrical testament in praise of the Cairngorms. 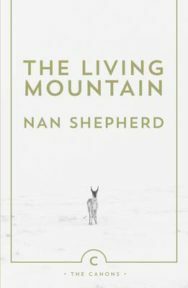 It is a work deeply rooted in Nan Shepherd’s knowledge of the natural world, and a poetic and philosophical meditation on our longing for high and holy places. Drawing on different perspectives of the mountain environment, Shepherd makes the familiar strange and the strange awe-inspiring. Her sensitivity and powers of observation put her into the front rank of nature writing. Anna (Nan) Shepherd was born in 1893 and died in 1981. 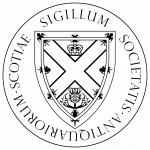 Closely attached to Aberdeen and her native Deeside, she graduated from her home University in 1915, and went to work for the next forty-one years as a lecturer in English at what is now Aberdeen College of Education. 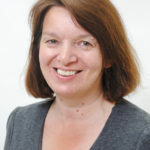 An enthusiastic gardener and hill walker, she made many visits to the Cairngorms with students and friends and was a keen member of the Deeside Field Club. The Living Mountain testifies to her love of the hills and her knowledge of them in all their moods. Her many further travels included visits to Norway, France, Italy, Greece and South Africa, but she always returned to the house where she was raised and lived almost all her adult life, in the village of West Cults, three miles from Aberdeen on North Deeside. Robert Macfarlane’s Mountains of the Mind: A History of a Fascination (2003), won the Guardian First Book Award, the Somerset Maugham Award, and the Sunday Times Young Writer of the Year Award. Robert Macfarlane is a Fellow of Emmanuel College, Cambridge. He lives in Cambridge with his family.